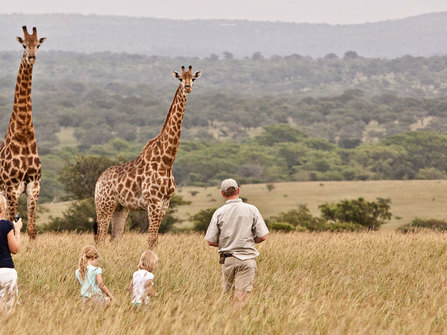 Many lodges and safari camps claim to be family friendly, but few actually are. 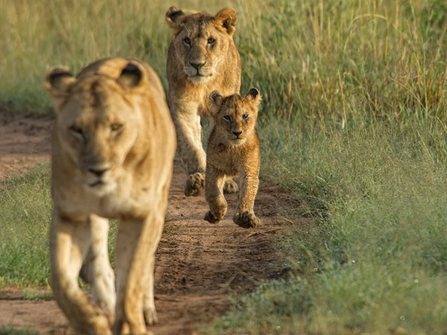 We are all parents ourselves and take pride in visiting and selecting safari camps and lodges which are genuinely family friendly, but also offer something unique for parents as well. Read on to discover our favourites. Our favourite family friendly camp in Kenya, if not the whole of Africa, Laikipia offers an off the beaten track intimate wilderness safari experience. The camp is ideal for families, children can go on adventure walks, swim, raft and fish in the river and scramble and climb on nearby outcrops and, of course, game drives are also available. If your family is active and likes to get out and experience the wilderness, then this is the perfect place for you. A fantastic malaria-free safari option, 2 1/2 hours norht of Jo'burg. No Big 5 here, but there are giraffe, buffalo, rhino and over 40 species of antelope. Accommodation is is boutique cottages with magnificient views, this is the ultimate place to come to unwind and reconnect with nature. The speiclaity here is horse riding and they have over 90 horses in their herd which are suitable for beginners right through to experienced riders. For non-riders, there are game drives, walking or simply relaxing and enjoying the views. 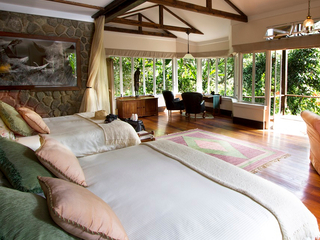 A collection of three beautiful bush houses within private reserves adjoining the Masai Mara. The sense of privacy, wilderness, variety of activities and the tailored daily itineraries mean these houses are perfect for families. Each house is self-contained and has its own dedicated guide who, as well as taking clients on game drives, will teach you ho to shoot a bow and arrow Maasai style and will give you some insight into the Maasai culture. 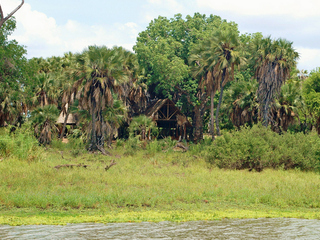 A great value wilderness safari camp in the heart of the Selous Game Reserve in Southern Tanzania, this lake side camp offers tented, rustic accommodation with vehicle & boat safaris available. With few neighbouring camps, you are unlikely to see other safari vehicles, so this is a chance to be far away from the crowds. If you are looking for a wlid adventure for your family, then this is absolutely the camp for you. 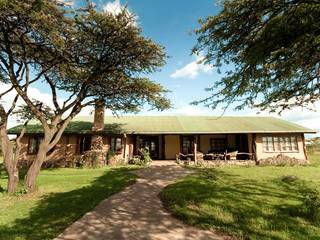 Located half way between the Ngorongoro Crater and Lake Manyara, Gibb's Farm offers beautiful famliy friendly accommodation in a tranquil and rural setting. Set within some lovely gardens and with views of coffee plantations, this is a peaceful slice of rural Africa, the perfect accommodation to complement a safari itinerary. 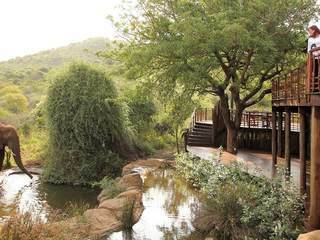 If you want an exclusive, yet family friendly safari getaway, then look no further than Thanda. Offering luxurious family friendly accommodation, complete with private infinity plunge pool, outdoor shower and private sun deck and outstanding communal areas, Thanda does come with a high price tag, but is worth every penny. Fussy eaters and early dining times can be catered for and the guides and staff go out of their way to bring the safari to life for the younger audience. Lots of lodges in the Kruger area claim to be family friendly, but we love Simbavati because it genuinely is. The lodge offers fantastic family accommodation; the family chalets offer privacy to parents with two bedrooms and also have a private deck overlooking the river bed. Communal areas include a large lounge area, kids room and a small outside play area, which is a rarity in Kruger lodges and allows children to let off a bit of steam between game drives. Add to this family friendly menus, enthusiatic guides and excellent game and you have a very good value family safari option. 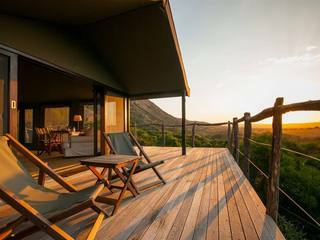 A lovely small tented camp located in the Amakhala Game Reserve in the Eastern Cape. 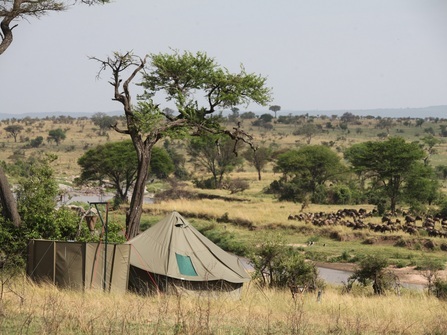 This is the ideal location for families looking for malaria-free safari. The contemporary and comfortable tents can sleep up to four people and there is a small pool as well. 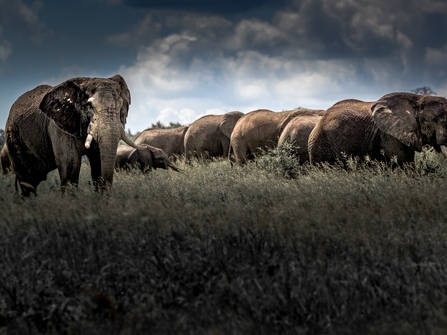 Amakhala is home to the Big Five and is a convenient safari destination after exploring the Garden Route. A genuinely intimate and boutique option, for families who want to enjoy the great outdoors, but not at the expense of their creature comforts. Unique camp offering safari, beach relaxation and snorkelling from one location. For many families not keen on lots of transfers and moving about this makes for the perfect relaxing safari and beach holiday, just fly in and enjoy!